Millions of dollars are at stake as San Jose and Santa Clara County fight over how fast is fast enough for a medical emergency response. The city and county on Monday conducted a rare joint public meeting to hash out their agreement on medical services. An agreement the county said San Jose failed to fulfill. In response, the county withheld millions of much-needed dollars owed to the city. 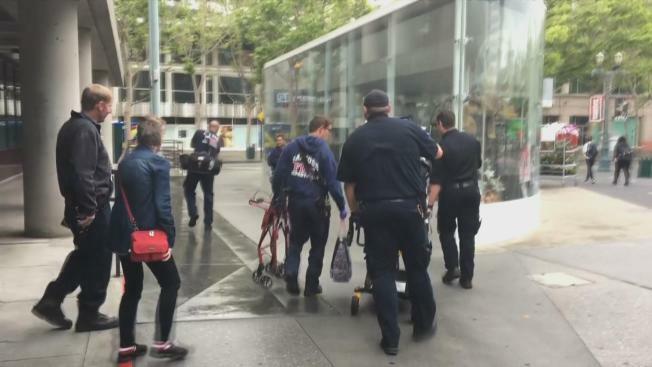 On Monday, a San Jose fire crew responded to a woman who collapsed downtown. Firefighters and paramedics arrived in less than five minutes, treated the patient then turned her over to the Rural Metro ambulance. "I think my friend is doing OK thanks to the fire department showing up really quickly -- great response time," said Rosemary, the victim's friend. According to the city, the fire department responded to 80,000 EMS calls last year. But in its contract with Santa Clara County the first responders must respond within seven minutes. The county said San Jose has not been doing that consistently enough and wittheld payments. Mayor Sam Liccardo said the city has improved and needs the money owed to keep improving. "We've got $8 million right now sitting in a county fund that could be used to improve emergency response times and enable us to get to stroke and heart attack patients," Liccardo said. Meanwhile, the county seemed skeptical. "There's very strict standards as to where they're supposed to be and they're not there yet," Santa Clara County Board of Supervisors President Dave Cortese said. "I commend them on their progress, but the progress on that last half second, or last five seconds, or last minute could be a life." Monday's meeting ended with no decision.